In 1980, Allison Hinton’s father Larry opened a store selling wood fireplaces and stoves in Kingston, Ontario. 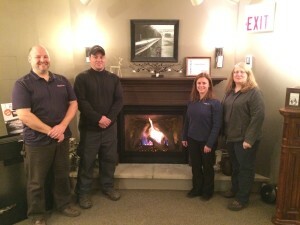 Today, Allison runs the family business, Fireplaces Unlimited Inc., which now has two locations and sells many more products, including electric, gas and pellet fireplaces. How long have you been in the hearth industry? Thirty four years. We serve customers between Prescott and Deseronto and on north to Perth and Smith Falls. ‎Having been in business this long, we have a dedicated, longtime staff. In fact, in 2014, we had four second-generation employees. We are excited for the future and plan on being around for a long time to serve customers. We provide full fireplace services to our clients, including in-house masonry and finish work. What’s the #1 piece of advice you’d offer to someone just beginning the process of shopping around for a fireplace? ‎Don’t rush your decision. A fireplace is a focal point in your home that you will look at for years to come. Make sure to pick one you love. What’s your favourite product from Forge Distribution? 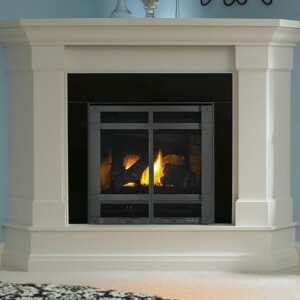 ‎My favourite fireplace is the SL750 gas fireplace from Heat & Glo. It is the perfect size for most applications, and the value for the money is excellent. 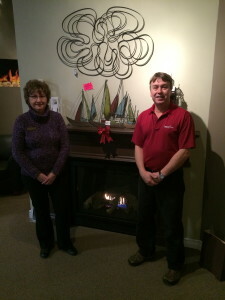 If you’re in the Kingston or Brockville areas, make sure to stop by Fireplaces Unlimited’s showroom and check out the demo sales as Allison makes room for her 2017 models!